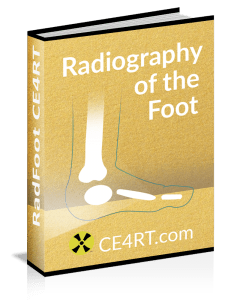 This article discusses X-ray CE requirements for radiologic technologists employed in the state of Iowa. The Iowa Bureau of Radiological Health requires radiologic technologists employed in the state to complete continuing education periodically. Iowa CE requirements for general radiologic technologists and nuclear medicine technologists are 24 hours of qualifying activities in the biennium indicated on the permit. Limited license holders must earn 12 CE hours in the preceding biennium. 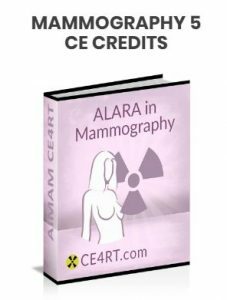 Radiologic technologists with certification in mammography require 15 CE hours in mammography every 36 months. They must also perform 200 mammograms every 24 months. CE lectures may not be repeated in the same biennium. Continuing education activities other than lectures may not be repeated in the same or any subsequent biennium. Radiographers with a valid ARRT or NMTCB registration that has been renewed within 60 days of the Iowa permit renewal will be credited with the recognized number of CE hours approved by these credentialing organizations. Alternatively, permit holders may submit proof of completion of CE activities approved by the ARRT or NMTCB. After March 13, 2013, the Iowa Department of Public Health no longer reviews or approves continuing education activities. CE programs that were previously approved by IDPH expired on January 1, 2015. At present, acceptable CE programs for Iowa license renewal are those approved by the ARRT, ASRT, or NMTCB. 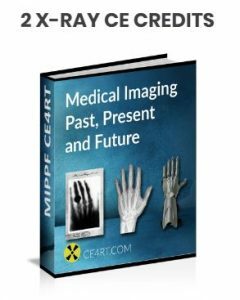 Radiologic technologists who became certified by the ARRT after January 1, 2011, must complete continuing qualifications requirements every 10 years to maintain their certification. This may require additional targeted CE activities identified by the self-assessment questionnaire. In order to be accepted by IDPH, completion certifications for CE activities must have the approval body’s name and approval number. Our online courses are ARRT-approved and fulfill Iowa X-ray CE requirements. Further details about the definition and department approval of continuing education activities are outlined in Chapter 641.42.2(136C) and are available on the IDPH website. Permit holders in Iowa are required to submit proof of completion of CE to renew or reinstate their permit. To be acceptable, the completion certificate from the CE provider must state the radiographer’s name, title of CE activity, name and approval number of the approving organization, date of attendance, number of contact hours, and signature of sponsor. Once you complete a course at CE4RT and obtain a passing grade in the post-test, you are immediately good for the number of stated CE credits. Our completion certifications are in compliance with state registry requirements. We are happy to provide verification of CE activities completed on our site to any authority upon request. Our money back guarantee gives you peace of mind. We have a complete package of courses for Iowa X-ray CE credits. These credits are approved by the ARRT* and can be easily earned online. 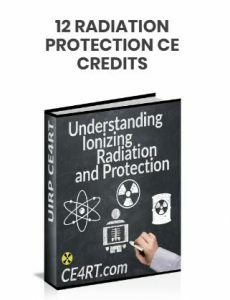 Our Iowa bundle contains Understanding Ionizing Radiation and Protection (12 CE credits), ALARA in Mammography (5 CE credits), ALARA in Fluoroscopy (5 CE credits), and Medical Imaging Past, Present and Future (2 CE credits), adding up to a total of 24 CE credits. 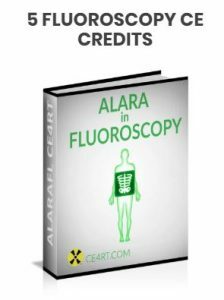 This bundle is a convenient way for radiologic technologists employed in Iowa to earn the required CE credits. This will ensure compliance with both state registry and ARRT* requirements. Established in 1949, the Iowa Society of Radiologic Technologists (ISRT) is an affiliate of the ASRT and works to further the welfare of radiologic technologists in the state. Members benefit from up to 6 free CE credits per year, scholarships, contests, and networking opportunities. Annual active membership is priced at $40 (must be ASRT and ARRT registered). Students in RT programs are offered membership to the society at a cost of $15 per year. Radiography students may be eligible for a free 1-year membership (apply here).